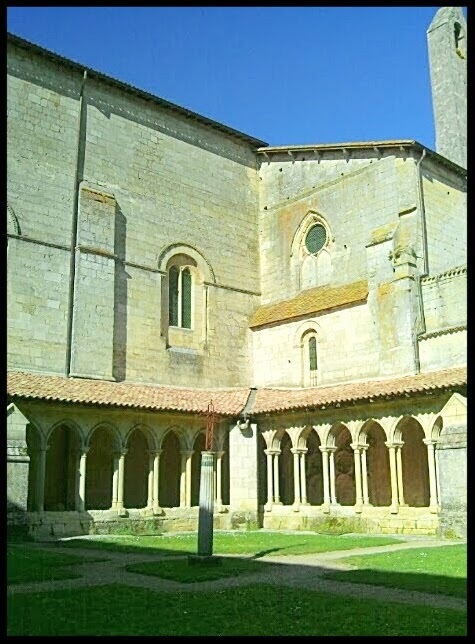 Today, I would like to talk to you about fake Chateau L’Angélus and the "L' " of Angélus. 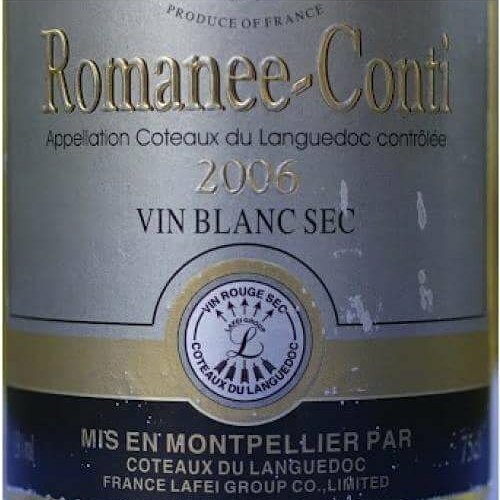 This post was inspired by a post on Facebook posted by Fabien Pizzinat (*) on the Facebook page/group called "Wine Business", Saturday, September 2nd, 2018.
bottled by negociant Philippe Serrande & Co.
"Bonjour! J'ai récupéré des bouteilles de Chateau L’Angélus 1970 mise négoce Philippe Serrande. Quelqu'un connait-il ce négociant? Merci pour votre aide. Fabien"
"Hello! I just got some bottles of Chateau L'Angélus 1970 bottled by a négociant called Philippe Serrande. Does anyone know this négociant? Thanks for your help. Fabien". 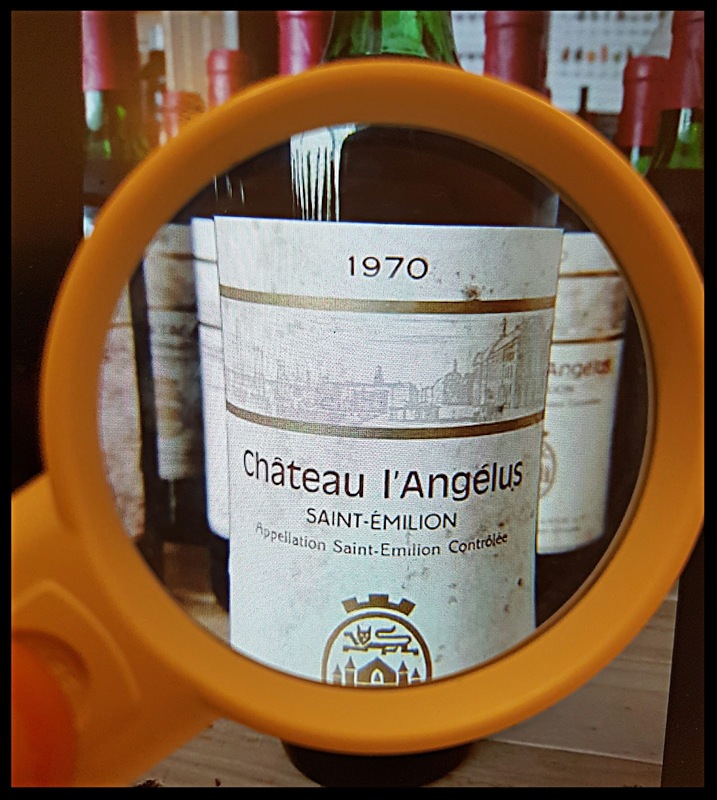 As you can see on this picture from Fabien's post, this is a rather peculiar label for Chateau L'Angélus 1970 (personally, it is the first time in my 27 years career in the wine business and trade, that I see such a label of Angélus). Yet, it is different as it is supposed to be a Négociant label. For those of you who may not know what it is, a Négociant Label is a label that has not been designed, chosen and labeled by or at the property, but by the Négociant. In short, for the last 400 years, Négociants (French, English, Dutch, Belgian, Swiss, Irish, etc...) used to buy barrels directly at the property, then shipped the barrels to their warehouse (either in France or in their own respective country) to age, bottle and label the wines, prior selling them, often under their own label, rather than the Chateau label (if any). However, getting back to Fabien's post, the various comments to his posts were very interesting and some very pertinent, yet it seems that nobody had a clear answer. 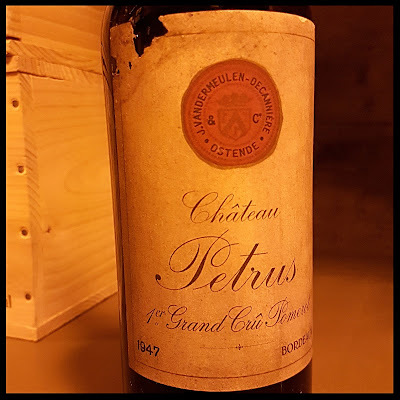 My first reaction was that if Jean-Bernard Grenié says that he is surprised (as in the 70s, Chateau Angélus wines were bottled at the Chateau) and that he never heard about this wine merchant, then what else to add? 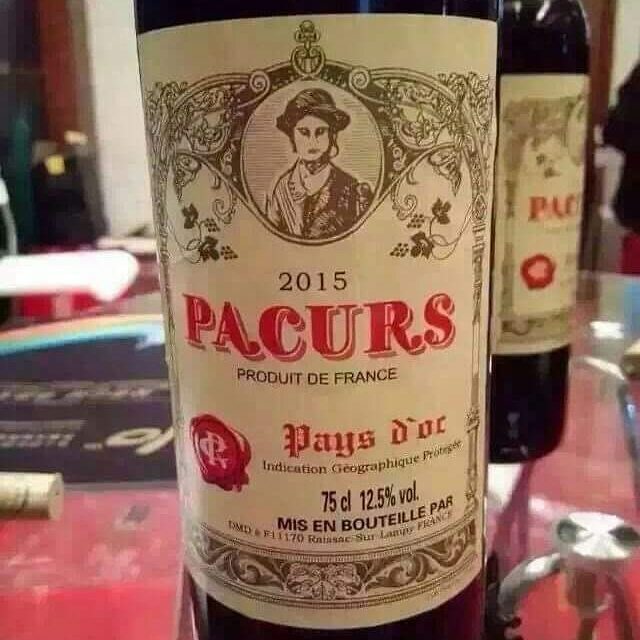 These are probably fake bottles and the case is closed. Yet, (and you know me by now), as a Wine Quality Control Director responsible for the wine inspection and authentication for the company I work for, I could not resist but to do my little investigation. After all, this is part of what I do for a living and I'm curious by nature, so why not? 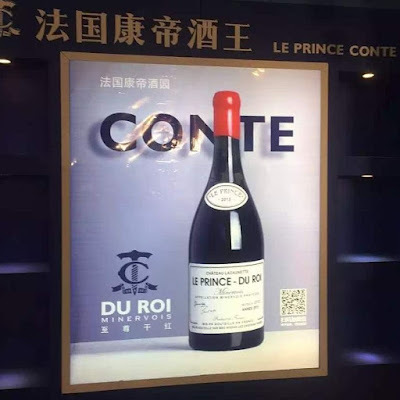 Moreover, when in doubt, I need to find answers (and this post will complement the other posts that I already wrote on fake and counterfeit wines and bottles that you can read here and here and here, etc...). 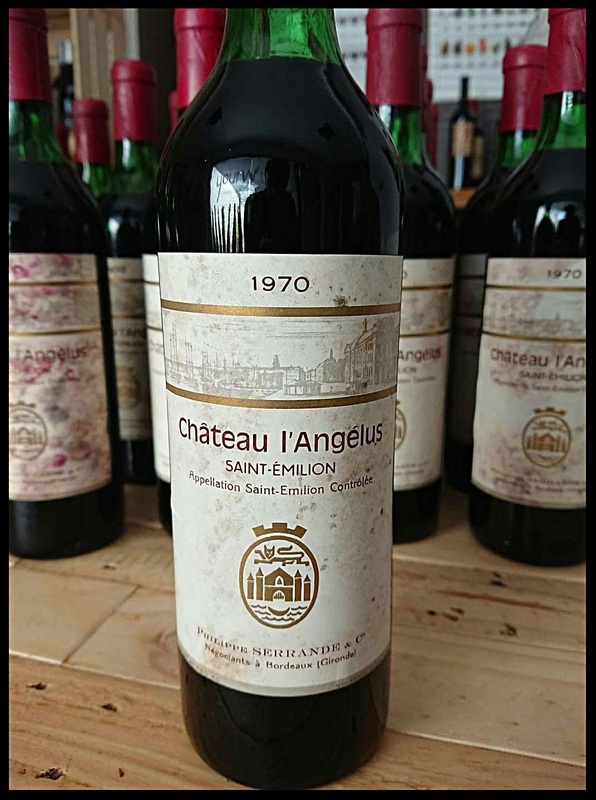 So, let's have a closer look at this rather strange looking label above and let's compare it to the original label of Chateau L'Angélus 1970 below. 6. The drawing looks like a port with some boats near the pier... Could it be the "Quai des Chartrons" in Bordeaux? ...the pier along the Garonne river where Irish, English and Dutch wine merchants and négociants established their offices and warehouses as early as over four centuries ago... it does look like it, doesn't it? 7. The logo with a chateau above a river surmounted by a "wolf" (?) or a "lion" (?) and a crown above it has nothing to do with Chateau L’Angélus (yet, once again, it could just be a design by the Negociant for its own label). 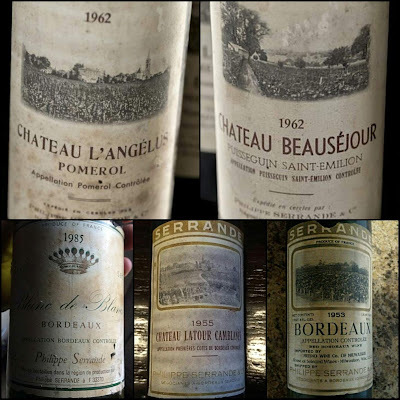 As previously mentioned, prior to 1967 (when bottling at the chateau became officially mandatory in Bordeaux), some négociants / wine merchants were still buying barrels from the Chateaux, aging, bottling and labeling the wines themselves in their warehouses in Bordeaux (or even elsewhere like UK, Belgium, Holland, etc...), and we can distinguish 2 types of Négociant's label. Instead of using their own label, some Négociants kept the original label from the Chateau and just added their name either directly on the original label or on an additional label (generally just below the original label). Here are 2 examples of an additional label below the main original label. 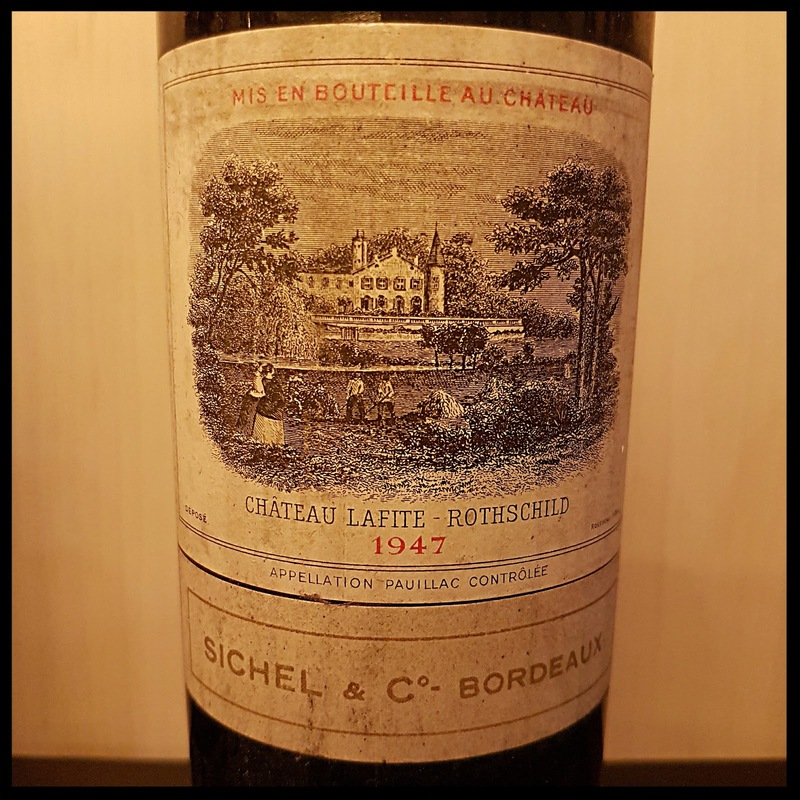 Like this label of Chateau Latour 1945 aged and bottled by Louis Eschenauer (Bordeaux) a Negociant house established in 1821. 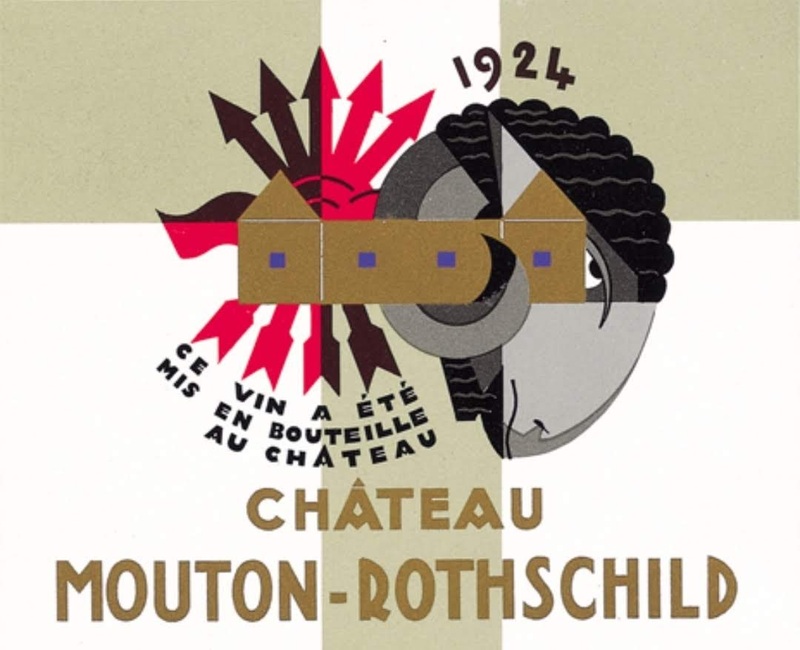 Or like for this Chateau Mouton Rothschild 1947 with the additional label of "Sichel & Co." a family owned Bordeaux Négociant house established in 1883, and still in activity after six generations of the Sichel family succeeding to one another at the company’s helm. 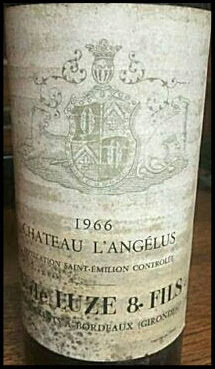 On the other side, instead of keeping the original label, some Négociants designed their own label, some drastically different than the original (as it is "supposedly" the case for this Angélus 1970) and the name of the owner or other details from the original label did not necessarily appear on the Negociant's label (which, once again, could be the case for this specific label of Angélus 1970, you never know...). This label of Chateau L'Angélus 1966 aged and bottled by Maison A. de Luze & Fils, a Bordeaux based Negociant house, founded by Baron Alfred de Luze in 1820, specializing in the maturing of great Bordeaux wines. 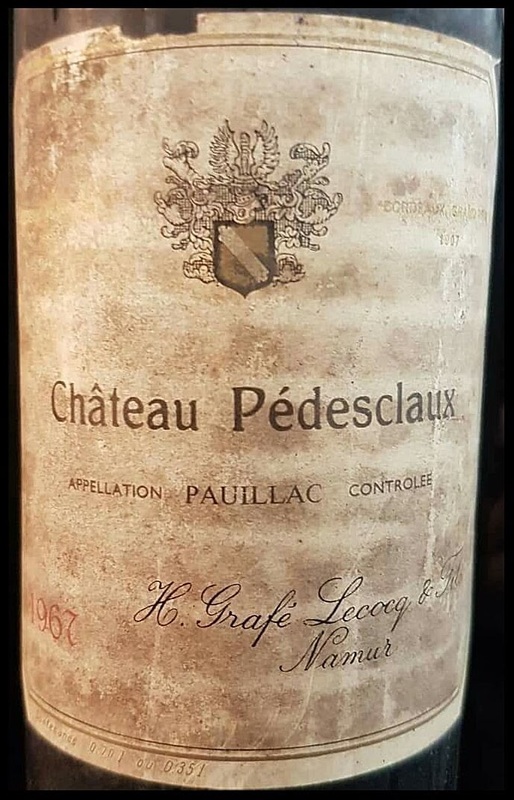 Or this label of Chateau Pedesclaux 1957 aged and bottled by Grafé Lecocq (Belgium), a Belgium Négociant house established in 1879 by Henri Grafé and his wife Léontine Lecocq, specialized in aging themselves wines bought in bulk from French estate in Bordeaux (predominantly) but also from other regions. Or even this rare label of Chateau Petrus 1947 aged and bottled by J. Vandermeulen-Decanniere (Ostende, Belgium), a Négociant house that was really active for roughly about 60 years between the late 1890s to 1955, and specialized in buying barrels directly at the property, having access to the barrel cellars of some of the best Bordeaux-Châteaux and Burgundy domains, then shipping these barrels to Ostende to let the wines mature in their warehouse, sometimes for even longer than they will have been aged at the Chateaux (3-5 years), prior bottling and labeling the wines with their own labels. So, as you can see from these examples above, we could say that Fabien Pizzinat's bottles might be real after all, as the labels on his bottles could simply be the real labels from a Négociant called Philippe Serrande & Cie. 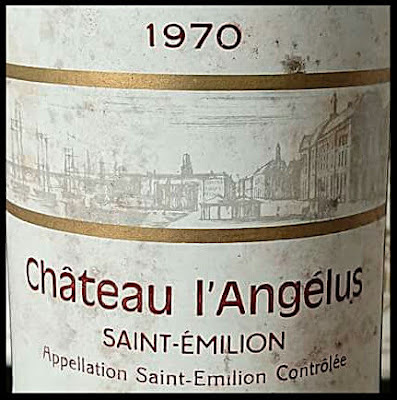 Yet, looking at this 1970 Angélus label again, it seems to me that they are too many awkward details to believe that these bottles are real. And if they are, the negociant who bottled and labeled them, supposedly called "Philippe Serrande & Cie." really did a poor job with this label. The work of an amateur I should say with no respect for the brand or the name of the owner (if this label is real that is). 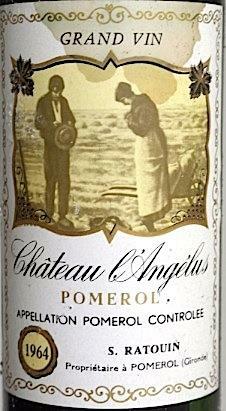 ...it only became mandatory for Bordeaux Chateaux to bottle their wine at the Chateau in 1967. 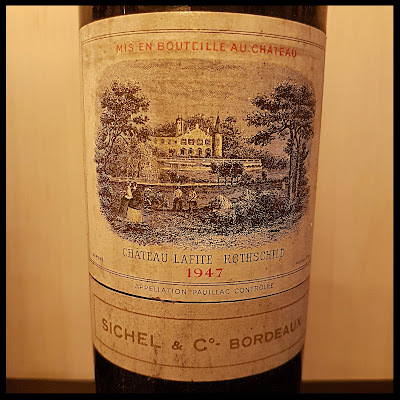 Yet, it is interesting to know, as a fact, that up until the mid-70s (and even late 70s, early 80s), many Chateaux in Bordeaux did not have the mean, the will, the place or the space to do the bottling, corking, and labeling at the Chateau (even nowadays some Chateaux and small producers still don't). 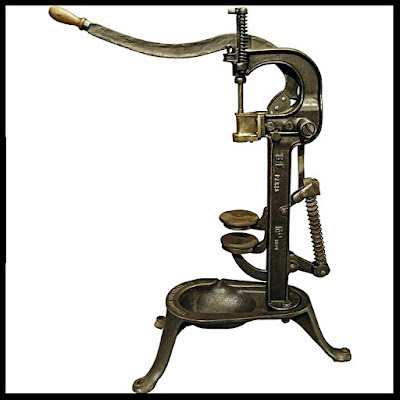 Most of them were (and some still are) doing it by hand, one bottle after another, filling up the bottles and corking each bottle with a wine bottle corker machine (more modern this day than the one below, fortunately for them) (my grandfather used one exactly the same as the one in this picture). 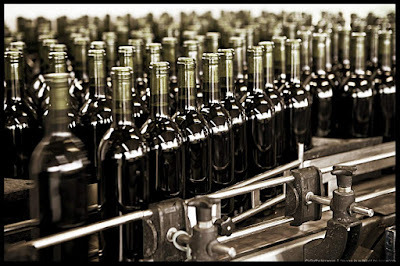 Once bottled and corked, the bottles were usually stacked together on piles, shelves or cages until labeling took place (often manually here as well), usually a few weeks to a few months later (depending on orders and sales) prior to being put into carton box and/or original wooden cases and shipped away. Hand bottling and labeling were both time-consuming and tedious, and not all Chateaux could afford to have a bottling belt at the Chateau or the space to put it. 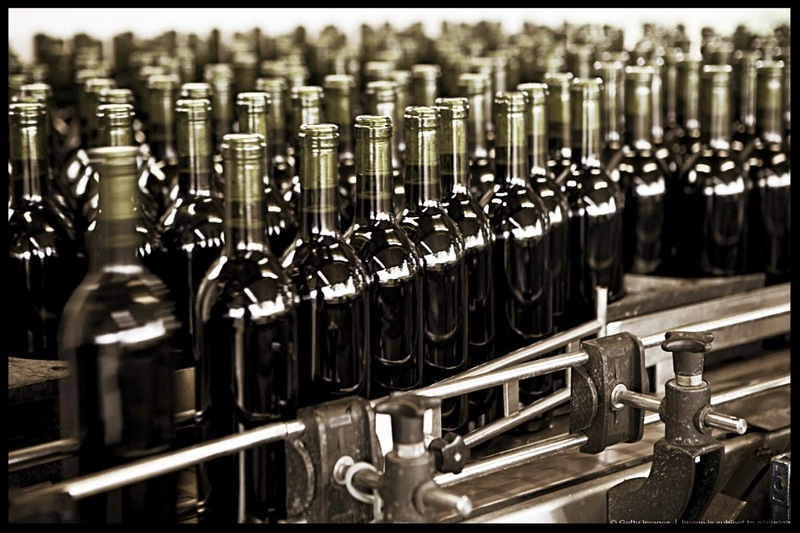 Therefore, when not doing it by hand, they hired companies which own bottling belt mounted on the trailer of a truck, passing by, Chateau after Chateau, to bottle and/or cork (and even sometimes label) the bottles. Could these bottles of Angélus 1970 be real or not? So, to further investigate, let's see what we can find about this so-called Négociant "Philippe Serrande & Cie". When googling "Philippe Serrande" nothing really interesting comes up except a Fine Jeweller in Canada. When googling "Philippe Serrande Wine" Vivino shows 2 results here, and for "Philippe Serrande & Cie", or even "Philippe Serrande & Cie wine" the pictures are more interesting showing various examples of well-known Bordeaux wines in old vintages ranging from the 50s to the 80s. "Expédié en cercles" is an old French expression which literally means "sent/shipped in bulk/in barrels" (still used by some people in the wine trade, like in Switzerland for example). "En cercles" literally meaning "within circles" referring to the metallic rings of the barrels (maintaining the staves). 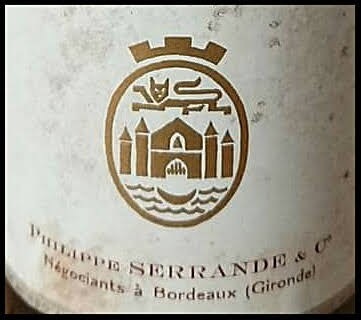 However, my point is that it seems that all the labels of the wines bottled, labeled and/or wine shipped in bulk ("Expédié en cercles") by Philippe Serrande & Cie are totally different from the original labels (which is not surprising for a Negociant's label.... but still). And therefore, it is really difficult for me to define whether these rather peculiar labels are real or not, without more info on this Négociant (like at which period he used to exist and was in business?). But it still seems fishy to me, because it seems that all these wines are mainly sold via and/or through unknown auction houses and that the only vintages that can be found are all between the 1950s and the 80s, meaning that they would be very easy to fake and counterfeit knowing all the uncertainty surrounding this rather unknown Négociant. Moreover, it makes these labels suspicious and therefore particularly prone to falsification (easy to create a fake label and call it a Negociant's label when no info or data can be retrieved or found on the Negociant who supposedly labeled it.... more especially for vintages older than the 60s). I will stop my investigation here for time constraint reasons and more especially for lack of information and historical facts about this Négociant and the type of business he was conducting and when. All I can say is that back in 1970, Chateau L'Angélus at Saint-Emilion produced, bottled and labeled all of its wines with the renown and easily recognizable yellow label that everybody knows. 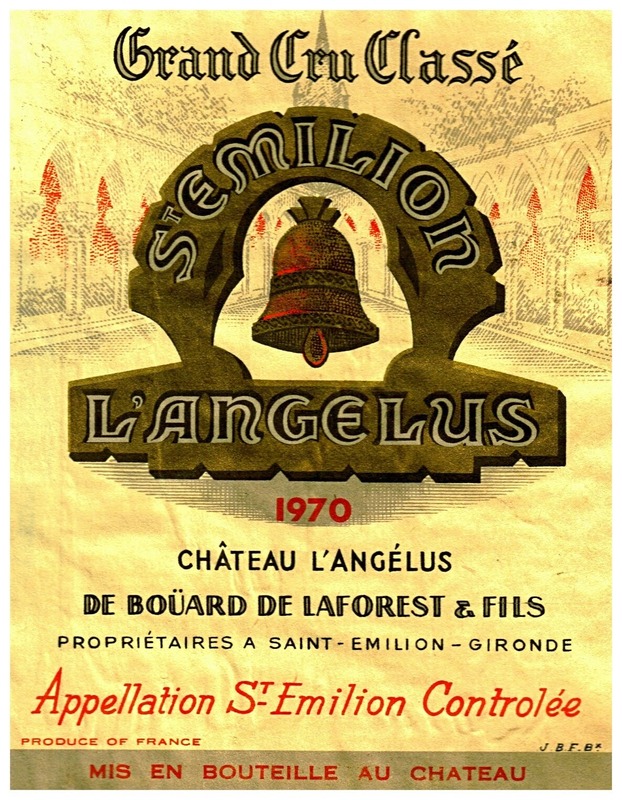 Whether some wines of Chateau L'Angelus were sold in bulk/barrels to this specific Négociant back in the 70s and whether he made is own specific label is not necessarily verifiable either, as even Jean-Bernard Grenié, the cousin of Hubert de Boüard de Laforest (Angélus owner), who joined the company business in 1987, and knows Chateau Angélus as well as Hubert, said that he never heard of this Négociant (and although he is in a good position to know these types of details, it does not mean that it did not happen or that this Négociant did not exist....but it is still weird to me that Jean-Bernard does not know Philippe Serrande &Cie, at least by name....) ...and even more surprising, is the fact that if some 1970 Angélus wine was sold in bulk/barrels or even in bottles to this particular Négociant, the Chateau would have kept records of it in a book and consequently would have been aware of these bottles existing on the market... (but they do not seem to be aware..). So, either, Philippe Serrande & Cie. is the spawn of a vile crook creating fake bottles to be sold by small batches and/or lots on unknown online Auction Houses in Switzerland and China (let's say, Asia,)... or he really existed, but did a sloppy job for the labels he created for all of the illustrious wines he was reselling with no regards nor respect for the reputation of the Chateaux and their respective owners. 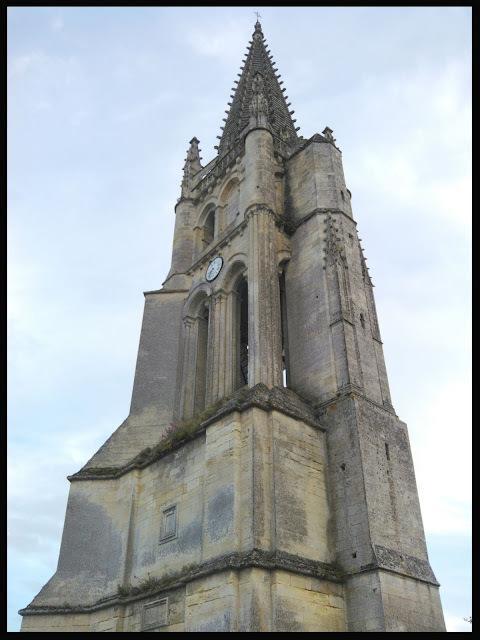 But then again I'm convinced he did not exist as no data can be found or retrieved and apparently no record either regarding the sales transaction from Chateau L'Angélus to this specific Négociant either. The market is still flooded with fakes and counterfeits bottles of Bordeaux and Burgundy wines, and it is up to the responsibility of people like me, dealing daily with wine inspection and authentication, to expose and denounce them, try to investigate to uncover the culprit if possible, and if not, to at least point the finger at the imitations and free the markets from this abominations. If you are interested to read more about fake and counterfeit bottles, you can read previous posts I wrote on that subject here and here and here, etc...). (*) Fabien Pizzinat seems to work in close relation with a wine boutique store located in Switzerland, called "Yourwine Grands Vins et Vieux Millésimes"